National Mobilization happens in one of the biggest offensives against indigenous rights in recent decades. The Free Land Camp (ATL) will bring together thousands of indigenous leaders from across the country from April 24 to 26 in Brasilia. The greatest mobilization of indigenous peoples in Brazil will be in the midst of a major offensive against their rights, threats and violence against leaders and the scrapping of the organs responsible for indigenous public policies. This year, the motto of the camp is “Indigenous blood. In the veins, the struggle for the land and territories”. With a strong character of resistance, its objective is to bring together leaders of the indigenous peoples of the five regions of Brazil and partners from all over the world, including indigenous leaders of Coica (Coordination of Indigenous Organizations of the Amazon Basin), AMPB (Mesoamerican Alliance of Peoples and Forests), AMAN (Alliance of Indigenous Peoples of the Indonesian Archipelago) and others to articulate strategies of struggle and to give more visibility to the Brazilian reality, denouncing the constant and growing attacks. The discussion about the transferring of the FUNAI (The main indigenous state organism) from the Ministry of Justice to the Ministry of Women, Family and Human Rights will also be in the agenda; the municipalization of indigenous health, the proposal of temporal framework (a political- unconstitutional legal system, according to which indigenous peoples would only be entitled to lands that were in their possession on October 5, 1988), changes in executive power, with the transfer of demarcation power to the Ministry of Agriculture under the control of the ruralist group, the intensification of invasions of indigenous lands and threats to leaders, among others. During the three days of the ATL there will be marches, public acts, audiences with authorities, assemblies and debates. 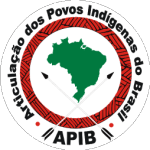 The ATL 2019 is carried out by the Articulation of the Indigenous Peoples of Brazil (APIB) with the support of indigenous organizations, indigenists, and socio-environmental, countryside and city movements and supporters of civil society. 2 – Delivery of Demarcation folders and environmental licensing to the Ministry of Agriculture, Livestock and Supply, under the agribusiness lobby command. 3 – Extinction of SECADI – Secretary of Continuing Education, Literacy, Diversity and Inclusion (SECADI / MEC). 4 – Extinction of National Council for Food and Nutrition Security. 5 – Increase in territorial conflicts due to the speech that states “there won’t be any other centimeter of demarcated land” by the actual Government. 6 – Negotiation and delivery of the Amazon to national and international interests and corporations. 7 – Intense articulation for the Pension Reform, which is actually the end of the Public Pension in the country. 8 – The release of the weapon carrying, thus enabling violence to increase in the countryside, besides the risks to indigenous people. 9 – Decision for the municipalization of indigenous health, ending the SESAI – The Special Secretariat of Indigenous Health. 10 – Exploration and ventures that directly impact Indigenous Lands with irreversible consequences for the environment, culture and way of life of our peoples. 11 – Establishment of a new legal framework, through administrative, legal and legislative measures that confront or suppress the original right of our peoples, the right of traditional occupation, possession and exclusive usufruct of indigenous lands, territories and natural assets.